The New York Times is calling it the "cover-up in Chicago." For 400 days after a Chicago police officer unfairly and unjustly killed 17-year old Laquan McDonald, Mayor Rahm Emanuel and State's Attorney Anita Alvarez did everything they could to prevent his family and the community from getting justice. If we want to stop police from murdering black Americans, then we need elected leaders willing to prosecute cops. And when elected leaders prefer to protect those cops and undermine justice, as Rahm Emanuel and Anita Alvarez have done in Chicago, they are unfit to continue in office. 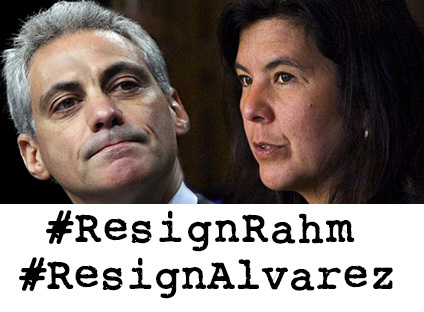 Join the movement and tell Rahm Emanuel and Anita Alvarez it's time to go.